Want to try your hand at bench jewellery skills? 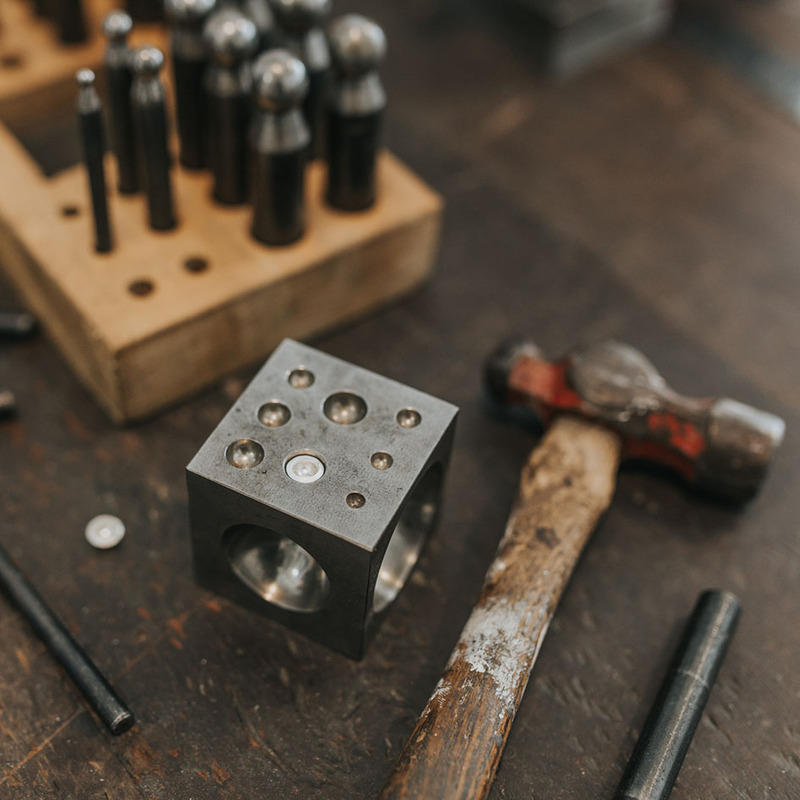 This workshop takes on a slightly different fomat to our ring making workshops. 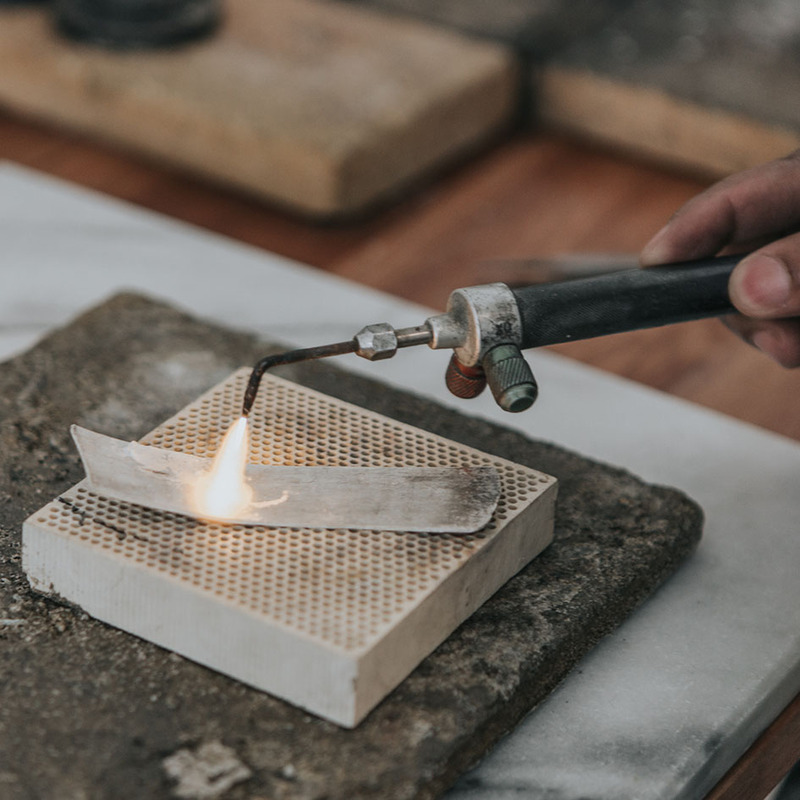 Using traditional metalsmithing techniques you will create a pair of sterling silver domed studs or dangly earrings which you will take home with you at the end of the session. During the course of the workshop you will learn how to shape, sand, solder and polish your own version of the domed earring shape. This is a beginners workshop, absolutely no experience is required. Ticket Price: R760 per person which includes all the materials as well as tea and cake. A great gift idea if you would like to avoid the cliche's this Valentine's day, just let us know it's a gift in the comments section and we'll email you a digital voucher to present to your loved one. *When purchasing your ticket please select the "collect" shipping option. **Just a little heads up, because of the small size of our workshops and the organization required purchased tickets are non-refundable nor transferable. 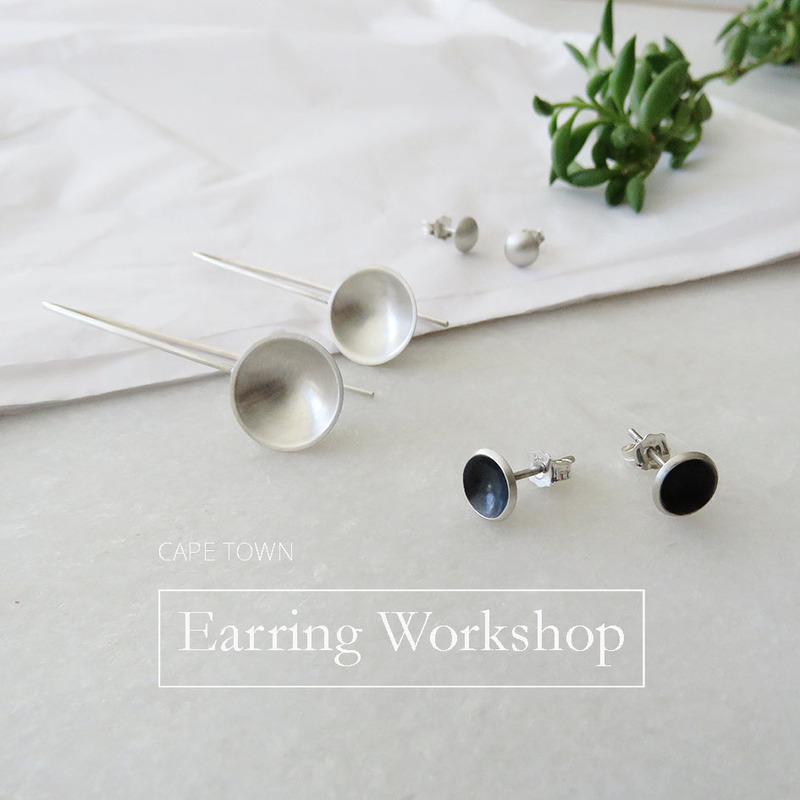 Notify me when Earring Workshop 16 February 2019 is available.